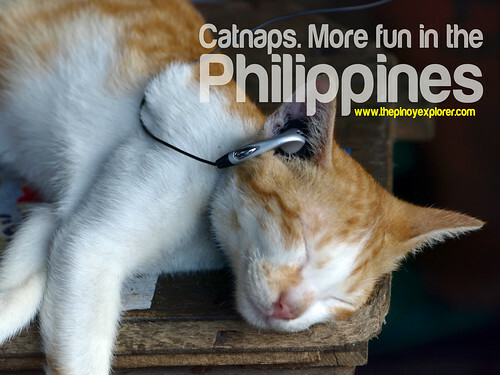 In one of our photo walks, I found this cat along Hidalgo St. on our way to Quiapo from San Sebastian church. I thought it was only for a show. I did check out if the earphones were working. Indeed, there was music playing. It is owned by one of the residents along Hidalgo, and he takes pride in pampering his cat--and being photographed by wannabe street photographers!